It has been and long hard road filled with exciting discoveries and interesting challenges, but last week we finally handed in our report about ‘Generational integration in the city and suburbs’ to the Ministry of [Foreigners, Integration and] Housing. It has become a somewhat cumbersome creation at around 164 pages, but even so, it wasn’t able to contain all the knowledge and insights into the complicated dynamics of creating age-integrated spaces, that we have acquired during this research project. We hope the report passes more or less unscratched through the tough editorial scrutiny of the ministry, to be realised sometime in the new year. We are happy to inform that it will be available both in Danish and English. We cannot yet reveal the full content of the report, but below you can get a teaser into one of the spin off topics we found very interesting in our office and which we look forward to delve deeper into. We can depart in a little correction on our behalf: We’ve come to use the word generation and age interchangeable, though they really are two different concepts. Age, relates to different kinds of time passing. It could be the biological age of the body; the psychological age of the mind or what you’d call maturity; the chronological age of years lived; or the social age concerning one’s status in society for example regarding occupation, living arrangement, partner or children. These all combine into a concept of age, which can be expressed by being in a certain lifephase. We easily talk of categories intuitive to us like children, teenagers, youngsters, adults, seniors and elderly. On the other hand we have generations. A generation refers to a person being born at a certain time and because of this lives through a certain historical period, which will influence this person in certain ways. We talk of the postwar generation, the baby-boomers, generation X,Y,Z and so on. You could say that lifephases are concerned with personal time, whereas generation is concerned with general time or as it is also called; history. In these years the last people who were adults during the Second World War will be elderly and soon won’t be among us anymore. In this way you change life-phase through the life-course [though not always in a completely linear fashion], but your generation will always stay the same. Why the confusion then? Well, life-phases and generations overlap. People of Generation Zero will be teenagers right now, while the ’68 Generation will mostly be seniors now. When you divide by life-phase, you thereby also automatically divide by generation. So why does this matter? Well, it matters because when we design urban space we want it to last longer than just a single generation. 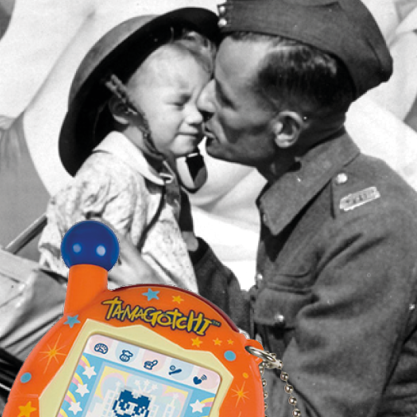 Imagine the generation of teenagers who were obsessed with the small digital animal devices known as tamagotchis, – most of you probably won’t have heard of this, because it was a very time-limited and therefore generational trend. Now think of a park being designed exclusively to interact and promote tamagotchis or use their design as base for the aesthetical expression of the park. Only one generation would ever understand this cultural reference properly, and they would soon grow up. This would be a very limited space which, like many cultural trends, would only matter to the selected few. [If you doubt the specific cultures of generation I suggest you visit Tidens Samling in Odense or similar exhibitions of styles in different decades for example at the National Museum. Now back to the urban stuff!]. So when we speak of generational integration or intergenerationality, we actually speak of people interacting despite their historical luggage and time-period specific culture. We talk about people who grew up without computers, learning to use google. What do we then talk about when we say age-integration? Well, this becomes much more tricky, but is in its main sense integration between the needs of different life-phases. Remember life-phases are an expression of complex relations between different ages. When we talk about life-phase, we actually refer to something more universal, which depends on the criteria of why different people belong to a certain life-phase in the first place. Design for elderly is based on the criteria that elderly have a weaker heath or you could say a greater biological age, and therefore focuses on, as an example; access-ramps for wheelchairs. Design for children could be based on a fundamental curiosity about the world, inhered from a young psychological age, which stimulates the need for play. 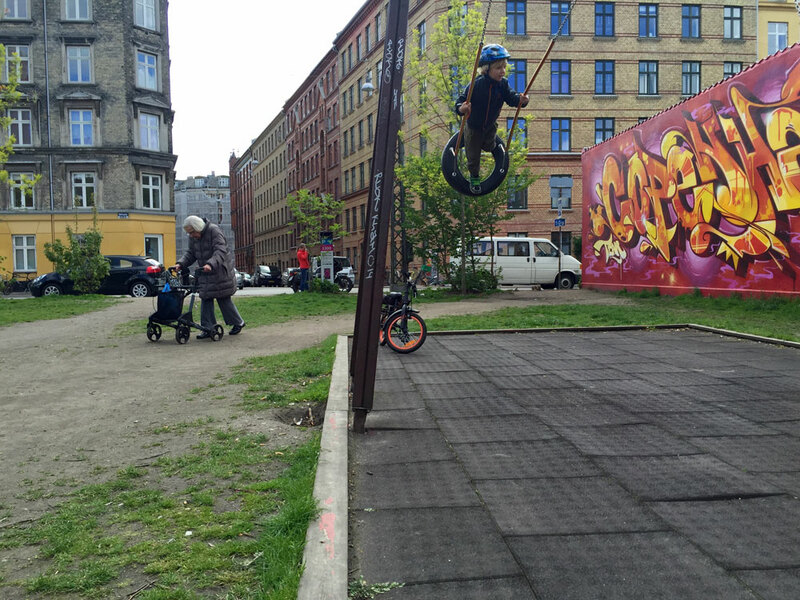 Hereby you’d focus on making playground when designing for kids. So in these examples an universal need, tied to the different kinds of ages, are uncovered, which will apply to all generations, whether they experienced the Second World War or not. Lifephases becomes timeless stereotypes, or as one says: “Kids are kids”. But, does this thesis really ‘hold water’, as the Danish expression says? Do children today play the same way that children did during World War II? No, probably not. But the element of play is universal – or is it? Could one imagine one grim future where children didn’t have a need for play? Yes one could… this is exactly the point of life-phases; they also vary according to the different combination of age-criteria applied to define them. New life-phases arise, like the tweens or the ‘young-old’, as consequences of new kinds of social age – new kinds of relations to society in one’s social status. What this means is that life-phases are never static categories, and design based on life-phases need to be attuned to new developments in how we life our life. But still, life-phases are much broader and much more resilient to change than the whimsical historical events that form a generation or the brief cultural trends that we remember from our youth. Parents from different generations will still face the same problems as far into the future we can see, the new tweens will be caught between childhood and teenage-problems and elderly will be less acrobatic then the rest of us while navigating through urban space. In the end solutions build on integrating different life-phase’s needs, will be more permanent solutions in urban design. The catch is this: The more universal you design for, the less particular interesting is it for a certain group. The generation of tamagotchi owners would have loved the tamagotchi themed park. The next wouldn’t. A park with a memorial to the deaths in World War II will please the generation of elderly and be indifferent to the next. Whenever you put emphasis on one groups particular culture, you will alienate others, and when you contain yourself to universals the attachment falters. A few solutions to this paradox of design can be suggested: One could look at whether there exist universal solutions to life-phase problems which are interesting and important across every generation. One could look at whether you can make universal design, with the possibility for every generation to inscribe it with their particular generation’s cultural luggage. One could make temporary generational designs. One could look at how different generation’s cultural luggage could be made interesting for other generations, and thus accomplishing the point of departure: Generational integration or intergenerationality. What our report really is about is the integration of different life-phases.